In order to support our existing services as well as the upcoming expansion of our services, we are looking for an experienced Specialist in Internal Medicine. 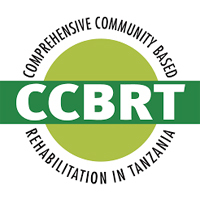 Provide quality service delivery to a wide range of CCBRT patients for chronic disorders, such as (but not limited to) hypertension, heart disease, diabetes, problems of the lungs, brain, kidney, and gastrointestinal tract in both CCBRT’s outpatient clinics and in-patient wards. Ensure cost efficient delivery of quality health services at CCBRT and ensuring guidelines/standard operating procedure/policies pertaining to patient care are followed. Collaborate with multidisciplinary teams of health professionals to provide excellent patient care. Ensure quality of medical and other administrative data (such as log books , patients files etc) and actively participate in CCBRT patient data management system and contribute to other CCBRT reporting requirements. Contribute to the learning & research culture at CCBRT. Registered with the Tanganyika Medical council as Specialist in Internal Medicine.